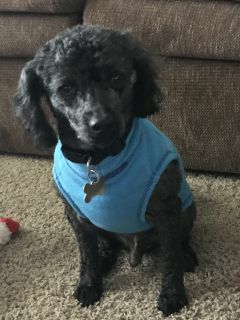 Fluffy is an 8-year-old male miniature Poodle new to our program. Fluffy just wants to be around people. He does love toys but is happy to just sit with you. He likes to ride in the car and walks nicely on a leash. He is little but doesn’t care to be picked up. If you are interested in meeting or adopting Fluffy, please submit an application. Special Notes: Fluffy has a special adoption fee of $75.